If you’re looking to buy or sell your home, reach out to me so I can help you successfully navigate the Seattle housing market. Like it or not, most of us are extremely dependent on our cars for daily transportation. And here again, you’ll find a big difference between newer and older homes. Newer homes almost always feature ample off-street parking: usually a two-care garage and a wide driveway. An older home, depending on just how old it is, may not offer a garage—and if it does, there’s often only enough space for one car. For people who don’t feel comfortable leaving their car on the street, this alone can be a determining factor. 1) The market significantly favors sellers. Last month, 53.6% of homes sold in fewer than 15 days. And 39% of homes sold for over asking price. 2) Experts believe interest rates are on the rise. Higher interest rates decrease the amount buyers can pay for a property- and decrease your profits. The median price for a home sold on the Eastside is $803,500. At today’s interest rate of 4.2%, that would equal a monthly mortgage payment of $3,929. 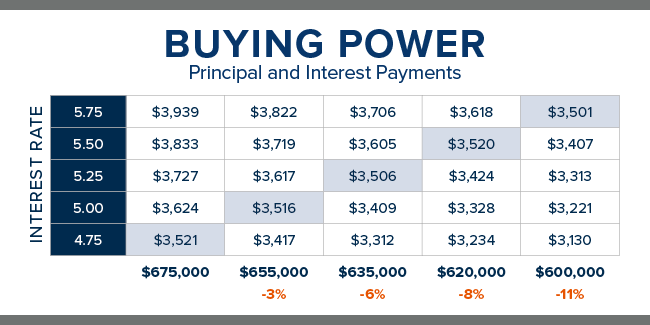 If interest rates increase just a half a percent to 4.7%, that same monthly payment allows a buyer to purchase a home worth just $757,400. The bottom line: As interest rates increase, your pool of buyers decreases. 3) Historically, February through June is the period when supply vs. demand favors sellers more than the rest of the year. It takes time to get a home ready for sale. To take advantage of the peak season for sellers, you need to get started preparing your home now. I can advise you on what you need to do, and I have a team of trusted professionals who can get it done. Are you ready to sell your home? Contact me today and I will prepare a valuation of your home based on current market conditions, walk you through the process, and answer any questions you may have.